09/24/13: Haunted Illinois News Update! 06/19/13: Submit Your Event Now! 06/14/13: New Rockford Haunted House! 01/30/13: Ashmore Estates hit by tornado! 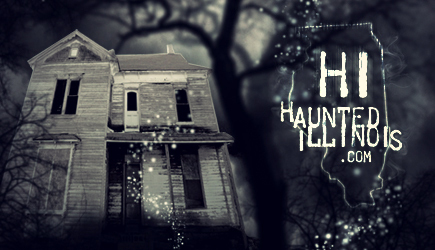 10/25/12: Top Ten Haunted Houses Posted! 10/20/12: Special Discounts for Haunted Houses! 10/05/12: Vote For Your Favorite Event! 08/09/12: HauntedIllinois.com's Undead Day Pictures! Update: Dream Reapers will be featured on the Travel Channel on Tuesday 10/27/09 at 7:00PM CST - "America Haunts II"
07/10/09: Submit Your 2009 Illinois Halloween Events !!! 05/01/09: Chicago Zombie Pub Crawl Pictures Posted ! 05/01/09: Zombie Army Prom Pictures Posted ! As many of you know, 2007 was Creatures Crypt's last season. For those of you who aren't familiar with the attraction, it was a top rated haunted house in Bloomington, IL. You can find out more about Creatures Crypt by visiting their official website. You can also read Haunted Illinois' Haunt Review of this top-notch attraction. The official auction date has been set: Tuesday, June 10th, 2008 at 10:30am. As more details become available, they will be posted here. A new "Review Archives" section has been added to the Haunted Illinois menu, giving you access to more than 75 official Haunted Illinois Haunted House Reviews and more than 1,100 visitor submitted reviews, that have been posted over the past few years. Over the next few weeks, Haunted Illinois will be under construction. One of the first changes will be adding a more user-friendly & organized menu system, which will make navigating Haunted Illinois much easier. You may find some dead links and other anomalies, so please bear with us as the dust settles.